The Chemical Engineering department was established in the year 1984.It offers undergraduate and postgraduate programs, awarding BE and ME degrees. Apart from learning basic technical concepts, the students are open to avail various elective courses of their choice. 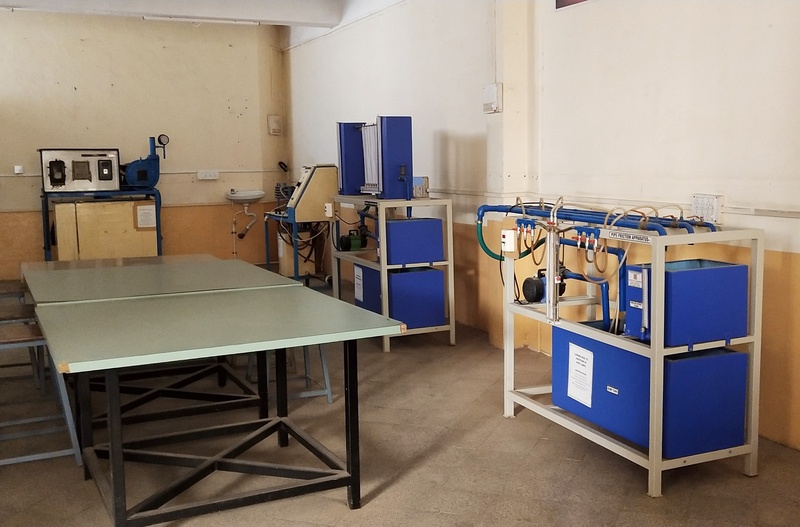 The department is equipped with well structured instruments and laboratory facilities to keep the students updated and enable them to handle the ever challenging needs of technical excellence in all areas of Chemical Engineering. The main aim of the department is to create a benchmark in the field of Chemical Engineering. The department has created a sound environment for the students and the faculty to work without any hindrance for the betterment and innovations in the Chemical field. The total intake per academic year for undergraduate students stands to 60. The curriculum designed is suitable for overall development and knowledge and prepare students to become industrial and academic leaders. It gives me great pleasure to welcome you to Chemical Engineering at Pravara Rural Engineering College, Loni, which is affiliated with Savitibai Phule Pune University. I consider it to be an honor and opportunity to present to you a dynamic discipline of Chemical Engineering who has been groomed to face challenges that lie ahead in the industry and corporate world as a whole. A meticulous academic procedure, has equipped students with the proficient and special skills to do extremely well in various demanding situations with ease and confidence. Our teaching pedagogy which includes presentations, case studies, projects, educational and industrial tours and participation in seminars and tech fest, sports and cultural activities which help towards acquiring skills sought after and needed by organizations such as yours. I have a sanguine hope that the students will be well received by the industry. I wish the students of this department get the grand success in their endeavors and feel confident that they will make significant contributions to the industry in the course of their work. This brochure contains all the pertinent information required for your participation in our program. To serve as an outstanding and valuable resource for industry, academia and society; to become the best rural engineering college in the world. To prepare the students to hold authority in Chemical Engineering, pursue their education through advanced study & endow to the betterment of society. To impart strong knowledge of fundamentals to the students so that they can be good practicing engineers. To teach student basic concepts, knowledge through experimentation, scientific literature & prediction of system behavior by models & simulations. To develop overall personality, inculcate team spirit & capability of shouldering responsibility of nation building. Create Chemical Engineering graduates with basic fundamentals in engineering, Science and Technology for a successful career in Chemical Engineering. Prepare Chemical Engineering graduates to become effective collaborators / innovators in efforts to address social, technical and engineering challenges. Equip Chemical Engineering graduates with integrity and ethical values so that they become responsible Engineers. Prepare Chemical Engineering graduates to become effective teammate in efforts to address social, technical and engineering challenges.